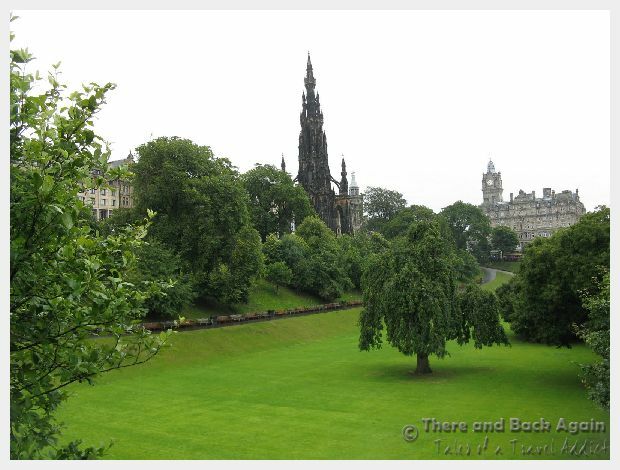 Edinburgh is one of my favorite European cities. Its casual elegance and easy going attitude make it an easy place to spend a few days. The scale of the city makes it very walkable and not overwhelming like larger cities that we have been to. The Royal Mile Edinburgh is the historical heart of this grand yet underestimated European capitol. This small stretch of Edinburgh overflows with stories and hidden pieces of history waiting to be discovered. Both of our visits to Scotland were before we had children. If you are traveling to Scotland with little ones in tow, a visit to Edinburgh with kids is sure to be a highlight of your trip. 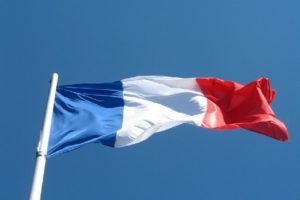 When you are done here, check out this great Europe family travel blog for more information about Scotland with children! The Edinburgh Royal Mile is divided into a number of sections, names for their historical significance to Edinburgh’s development. 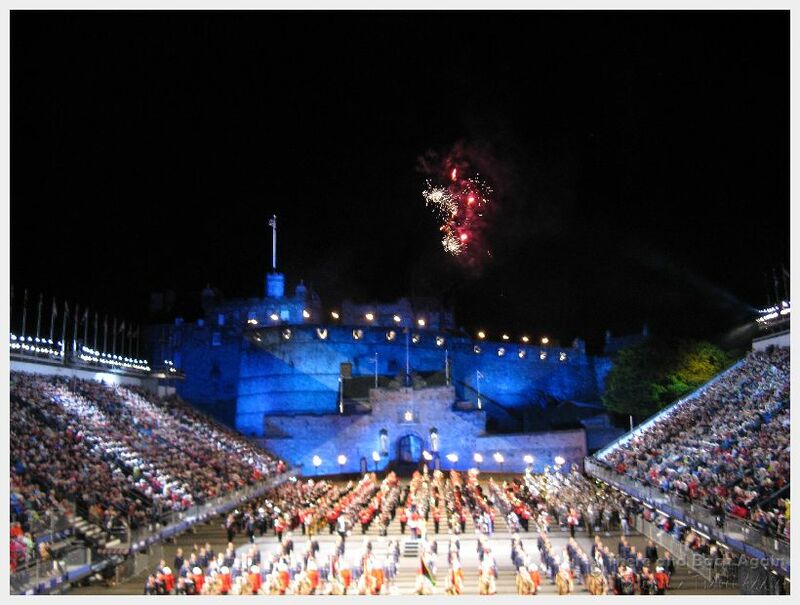 The Royal Mile starts at Edinburgh Castle, and ends just about a mile later at Holyrood Palace. In between are unique and distinctive sections, each with its own character and bits of history. Join me as I share with you some of the history of Edinburgh’s most famous street, as well as some of my favorite stops along the way! Castle Hill: Of course, no visit to Edinburgh is complete without a stop to see Edinburgh castle. The area around Castle Hill is full of character and history. Start in the castle esplanade after you have finished touring around Edinburgh Castle. There are many sights here of historical significance, if that is your cup of tea. 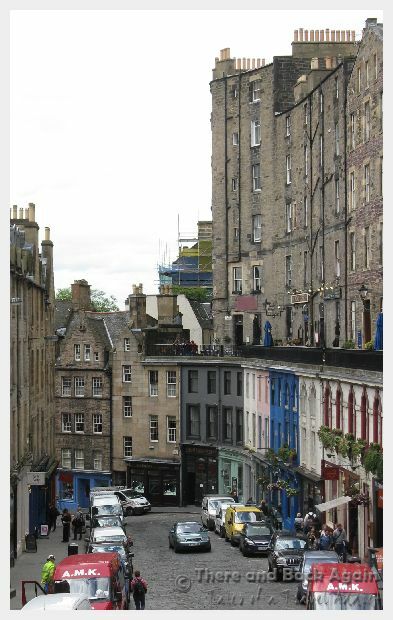 It is easy to hop on over to the Grassmarket area just southeast of Edinburgh Castle from here for a little shopping and lunch. Grassmarket: This part of Edinburgh, just southeast from Edinburgh Castle is called Grassmarket because until 1911, this was one of the main areas in the city for grazing sheep and cattle. The Grass Market has recently been renovated into a hip, trendy area for eating and shopping, with quaint cobblestone streets and a great view of Edinburgh castle. If you want to learn about one of the stranger stories in Edinburgh’s history, make a stop into Maggie Dickson’s Pub. Maggie was hanged in the Grassmarket in 1724. The execution was completed, and they put her body into a casket and onto a cart to haul away. Down the road, there was a knocking coming from within the casket and they opened it to find Maggie, quite alive. It was decided that it must be God’s will that she lived, so she lived out the rest of her life in Edinburgh. Maggie Dickson’s is located right on the central square in the Grassmarket, which is a great place to stop and eat a picnic lunch if you don’t want to eat in one of the many great restaurants there. Lawnmarket: Lawnmarket is the short section of the Royal Mile between Castlehill and High Street. It is also the location of Deacon Brodie’s Tavern, which is a great place to stop for a pint as well as learning about one of Edinburgh’s most notorious figures. Deacon Brodie was the inspiration for the book “Dr. Jekyll and Mr. Hyde”. He was a prominent, well respected businessman by day, but he led a secret life of debauchery and crime at night. 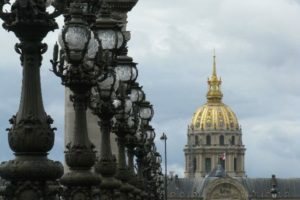 To support his habits, he turned to theft, which was easy for him because Brodie’s day job was as a locksmith to the wealthy families of Edinburgh. As he repaired their locks, he made copies of the keys, which enabled him and his henchmen to enter the houses at night and steal valuables from within, without ever needing to break in. He pulled this heist off a number of times before getting caught. He was hanged at Edinburgh’s notorious Tollbooth prison on October 1st, 1788. Stop in at the pub named after him for a wee dram of whiskey or to learn about a unique person in Edinburgh’s history. The Lawnmarket is also home to my favorite pub in Edinburgh, the Jolly Judge. Located in James court close (on the North side of the Royal mile) this authentic pub has always felt inviting and welcoming to me, with its authentic wooden beamed ceilings. If the tourist crush of the Royal Mile is getting to you, this is the perfect place to escape. 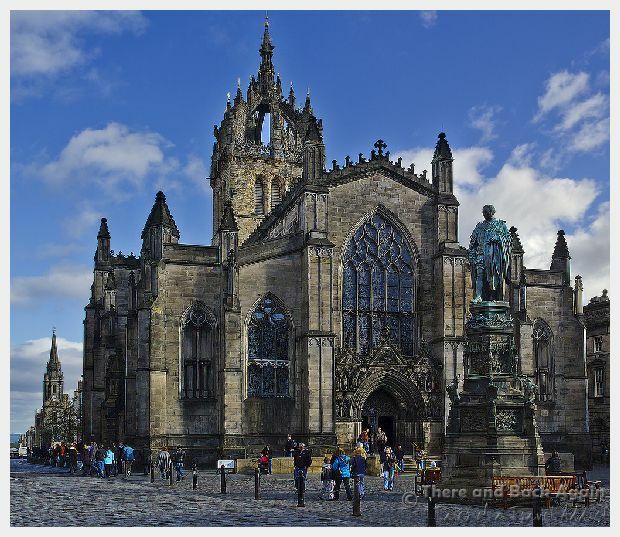 High Street: High street is the home of St. Giles Cathedral, an iconic landmark on Edinburgh’s Royal Mile. Seeing the spires on St. Giles Cathedral is one of my “I am here” moments every time we return to the city! Near the west end of St. Giles cathedral is the heart of Midlothian. This used to be the site of the old tollbooth, which was the center of taxation government and justice in Edinburgh. We have learned in our visits that the Scottish people don’t like authority very much, and to this day the locals still spit on this spot as they walk past. If you are interested in finding out more about the national drink of Scotland, there are two great spots on the Royal Mile that I recommend. 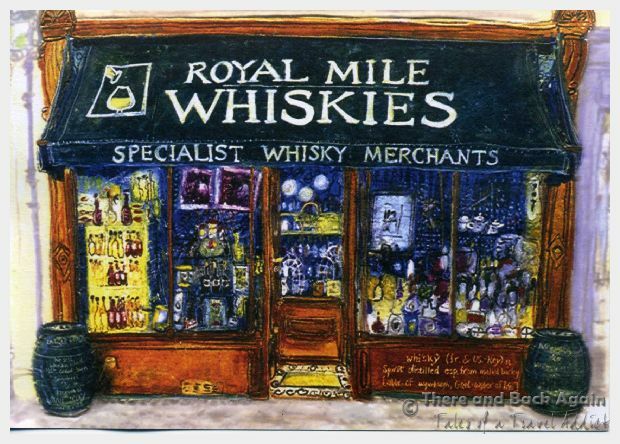 The first is the Royal Mile Whiskey Shop, located on the High Street on the Royal Mile. The staff here are knowledgeable and experienced in all nuances of Whiskey (also called “uisge beatha” or “water of life” in Gaelic). At the end of the High Street is the World’s End. This was the place where the old city walls of Edinburgh stood (literally, where the rest of the world ended the part of the city controlled by Holyrood Abbey began). Eventually, Edinburgh spread outside of the city walls, but this spot still remains a Edinburgh landmark. Finally, if you are in need of a bathroom break after your stop at the pub, the Museum of Childhood is located in this section of the Royal Mile. The museum is free, and has clean restrooms. Cannon Gate: The section of the Royal Mile furthest from Edinburgh Castle is called Cannon Gate. Cannongate was named after the Canons of Holyrood Abbey who walked on this part of the street (Gait is the Scots word for street). At the end of Canongate is Holyrood Palace, which is the official residence of the queen when she is in Scotland. Located in the Canongate section of the Royal Mile is the notorious Canongate Tollbooth. The Tollbooth was a place for collecting tolls from those entering the city. It also served as police headquarters and a prison. The prison had a reputation for cruel and inhumane conditions and for the brutal treatment of its occupants. Now, the Tollbooth houses a pub (worth a stop for its historical significance) and The People’s Story Museum, which is a great place to stop to learn about Edinburgh’s people and history. The second spot that I recommend on the Royal Mile for whiskey enthusiasts is located in the Canongate area of the Royal Mile. Cadenhead’s Whiskey Shop specializes in non-chill filtered and cask strength whiskeys. Also knowledgeable about all aspects of whiskey, the staff at Cadenhead’s can point you in the right direction in your Whiskey exploration. 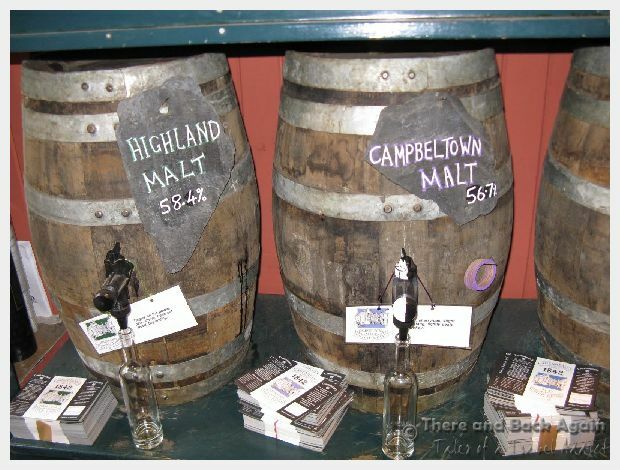 They have a number of casks of whiskey on site and a bottle of whiskey straight from the cask makes a unique gift or souvenir. 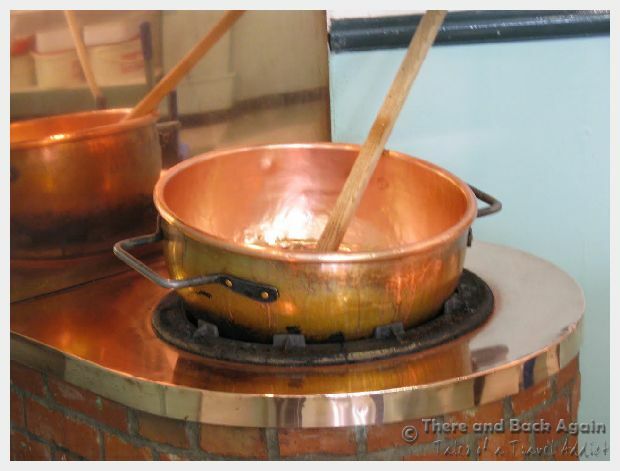 Previous PostWhat to do in Tallinn For a Day – Shopping, Strolling and Being Enchanted!